Christmas is just over a month away and already the holiday decorations and sales are visible in stores all over Costa Rica. Black Friday has recently become popular in Costa Rica and every store is starting to advertise their Christmas decorations. However, keep in mind that the Black Friday sales are mostly just a hype in Costa Rica where stores are just saying they are having a sale while in reality it is not much of a bargain if one at all. In some cases, the prices for holiday items are actually more expensive than they are throughout the year. Some of the exceptions to the Black Friday sales in Costa Rica are large chain stores like Wal-Mart in Costa Rica. This year, save some money in Costa Rica and start shopping early as the savvy shoppers have already finished their Christmas shopping before Black Friday as that is when they get the best bargains. Here are some helpful tips that will ensure you get the best discounts in Costa Rica to maximize your Christmas shopping budget. You should always be courteous to other people and when you are out shopping, it is even more important to be extra nice to the people that work in stores. Using a smile and a little charm with sales associates will ensure that they keep you inform about the best promotions available in the store. Not all store discounts are written in big bold letter so when you walk in a store, be nice and ask a store employee about and special offers or discount days they are or will be having. Shopping on the internet has many advantages which include not having to fight your way through a mob in a store but also keeps you from buying extra items you did not really need. 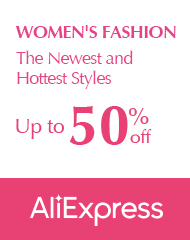 In addition, many online stores like AliExpress, Wish.com and Amazon have deals that are only available via their online store. Most stores in Costa Rica have deals that require buying multiple items, often the same type of items in order to receive a discount. The same can be said about using coupons in Costa Rica. If you go shopping with a friend, it will keep you from missing out on these discounts since you can buy the items together and take advantage of the savings! Smart shoppers in Costa Rica think of Christmas shopping as a long term project. Instead of shopping for Christmas in a one month period which is hard on the wallet, they spread it out over the course of the year which gives them the time to look for every day bargains. This is not only easier on your shopping budget but also allows you to get real bargains such as right after the Christmas season when all of the Christmas decorations are on a sales clearance.